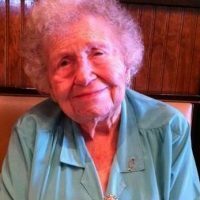 Services for Jene Bryce (Smith) Miller, 94 of Sallisaw, Oklahoma, will be at 11:00 AM on Friday, January 18, 2019, at First Baptist Church in Sallisaw, Oklahoma, under the direction of Agent Mallory Martin Funeral Service, Inc.
Mrs. Miller was born on August 12, 1924, in Nashville, TN, to Dewey Lee (Fort) Smith and Joseph King Smith and passed away on January 12, 2019, in Sallisaw, Oklahoma. She was married to Dr. Eldridge Leon Miller on February 1, 1947, in Nashville, TN. He preceded her in death on November 17, 1998. 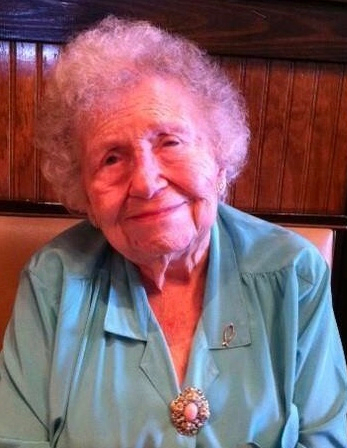 Mrs. Miller was a homemaker and of the Southern Baptist faith. numerous other relatives and friends. She was preceded in death by her husband, Dr. Eldridge Leon Miller and her parents, Joseph King Smith and Dewey Lee (Fort) Smith. Active pallbearers will be Philip Miller, Jeff Miller, John Moore, Tim Moore, Joshua Miller, Dustin Schluterman, Ryan Brown, Corbin Brown, Micah Brown, and Dylan Brown. Honorary pallbearers will be Deacons of First Baptist Church. Viewing will be 4 – 8 pm Monday, 10 am – 8 pm Tuesday, 10 am – 8 pm Wednesday and 10 am – 8 pm Thursday at Agent Mallory Martin Funeral Home in Sallisaw, OK, where the family will greet 6 – 8 pm Thursday.